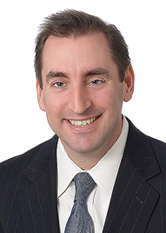 Ben Kusmin focuses on complex business litigation in state and federal courts. He has represented both plaintiffs and defendants, in cases involving complex frauds, licensing disputes, breach of contract, shareholder disputes, and breach of fiduciary duty. represented an environmental consulting firm in federal litigation involving claims of fraud arising out of a foreign environmental damage lawsuit. Mr. Kusmin also has experience representing criminal defendants, pro bono, in the Southern District of New York, in cases involving wire fraud, counterfeiting, firearms possession, drug trafficking, and immigration offenses. Mr. Kusmin has also represented dozens of homeless families in welfare disputes with the City of New York. In 2011, his efforts were recognized with the City Bar Justice Center's Jeremy G. Epstein Award for Outstanding Pro Bono Service. While at Boston University School of Law, Mr. Kusmin served as Notes Editor for the American Journal of Law and Medicine, and published a note entitled Swing Low, Sweet Chariot: Abolishing the Disinterested Witness Requirement for Advanced Directives. Mr. Kusmin previously worked as a mechanical engineer for a large defense contractor. He has a working knowledge of German and Turkish. “Spreadsheets as Evidence,” Digital Detectives Program on the Legal Talk Network (September 2017).